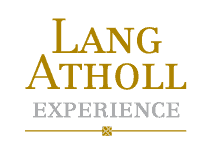 At Lang Atholl Experience we can offer the best tailor-made shooting and hunting holidays in Scotland. Hunting in Scotland has been highly popular due to the history, tradition, landscape and the quality of the sport. Season Depending you can hunt multiple live targets or simply select the shooting of the clay pigeons. The remote and skilful tradition attracts visitors back year after year. Scotland provides dramatic and various natural environments making it the ultimate location for every type of game shooting. Our bespoke hunting tours allows you to experience the sport whilst taking in the spectacular local countryside. Hunting and shooting in Scotland is not just about the sport but also the richness and tradition which you simply cannot find anywhere else. Creating every detail of our luxury tours to each individuals client’s requests and needs our packages will enable you experience Scotland’s unique traditions and culture. We are highly dedicated to our clients and will put in all our effort to ensure everything goes smoothing from your arrival through to departure. No question will go unanswered and if you are looking to include shooting and hunting within your luxury tours do not hesitate to contact us.